I see a guinea pig getting in the face of a repulsed older guy. 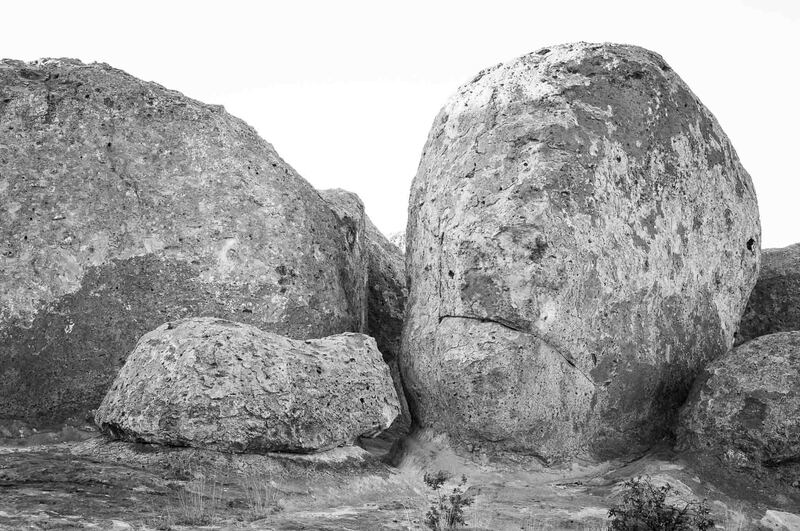 The rock formations here at City of Rocks are endlessly fascinating to me and I love wandering among the rocks seeking out and photographing the interesting stuff I find. They are so cool and constantly changing as the sun moves through the sky. I wonder what those native to the area thought about these formations. It's obvious they lived here or at least camped here for a while. There are several metates worn into the rocks where they ground their grains. I wonder if some of the formations were of special significance to them. Does anyone know?